Perhaps no other superhero is involved in as many “what if?” scenarios as Superman. Comic writers have posited how the world of DC Comics might be different if the Man Of Steel wasn’t there to unite the Justice League, what might happen if he disappeared or died, and the terror he could sow if he wasn’t fighting for “truth, justice, and the American way.” Some people think Superman’s awesome power and Boy Scout ethics make him boring, but these stories show his importance as a beacon of hope—proof that absolute power doesn’t have to corrupt absolutely. Firefight, which takes place just a few months after Steelheart, digs into the question of whether those heroes might have already emerged. At the end of Steelheart, the series’ teenage protagonist, David, is forced to question his fanatical hatred of Epics by the revelation that both his love interest, Megan, and mentor, Prof, have powers but avoid using them because of their terrible psychological effects. While Steelheart gave David the task of persuading Prof and his resistance group to take on a seemingly implacable external force, this one focuses on facing internal struggles. There are certainly fearsome new external threats that play out through gripping, fast-based action sequences, but the conversations David has with his companions as he tries to understand their inner struggles are some of the novel’s most compelling moments. Unfortunately, the setting and supporting cast takes a big hit here. Firefight is set in Babilar, a drowned city populated by easygoing fatalists. While Sanderson does a good job at describing sunken skyscrapers mixed with glowing jungles created by some unknown force, Babilar never takes on the same life that Steelheart’s Newcago did through meshing dystopia and noir sensibilities. That change in location also brings some new faces. With all the most important characters from Steelheart still part of the story, it’s obvious that Sanderson just doesn’t feel the need to develop the supporting Epic-fighters in the same way he did in his first novel. There are also a few character decisions he makes that seem like they could have an unfortunate impact of future books. Another issue is that while this is the second book in the series, Sanderson expects readers to have also picked up his novella, Mitosis (only available digitally in the U.S.), which is referenced heavily throughout the novel. Firefight isn’t a perfect novel, but it’s certainly a compelling one. 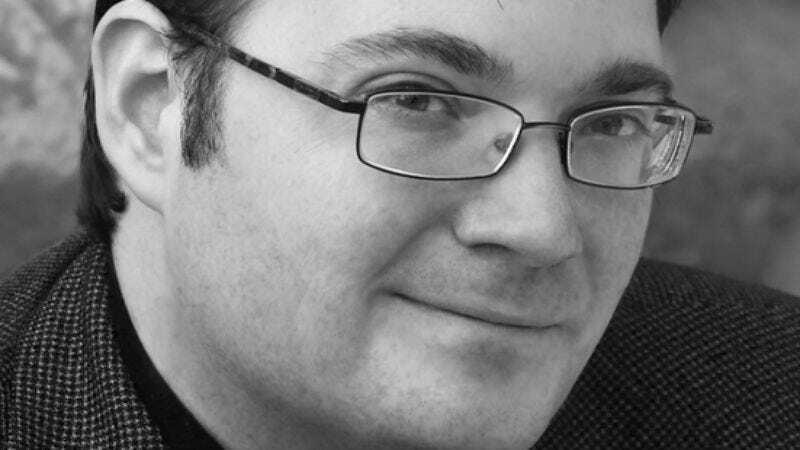 Much like in Steelheart, Sanderson uses plot twists that he teases enough for readers to pick up on to distract from the more dramatic reveals he has in store. While Sanderson devoted his first Reckoners book to bringing readers into the world, Firefight digs deeper into its mythology—beginning to answer the questions of where the Epics come from and what makes them so terrible. Those revelations, and the deeper mysteries they hint at, are sure to build anticipation for the next chapter in the series, Calamity. 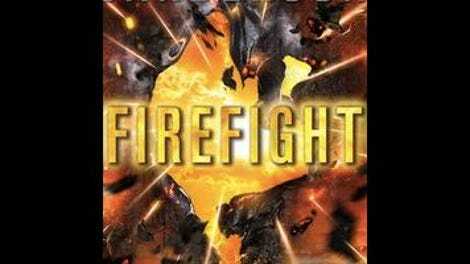 Listen to a clip of Firefight from Audible, where you can also get the audiobook.